I’ve been asked this question a lot lately, “I want to workout at home but don’t know what to do? Where should I start?” I’ve been getting asked by a lot of new moms as well who are wanting to get in shape or lose weight. So here’s my opinion with a “starter set” of workout suggestions. 1. If you’re a mom then I HIGHLY recommend starting with this book. Amazon or buy it on your iPhone or whatever electronic device you read on. 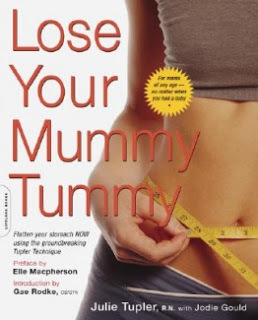 This is important for your tummy because most women have Diastasis Recti (splitting of the ab muscles) so you don’t want to go start with sit-ups if you have this. Go HERE to read more. 2. You can start your exercising with something like this Lindsay Brinn DVD set. I bought this at Target for $10 I do believe. 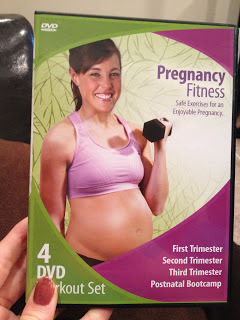 It does have exercises for each trimester, which are great, plus it has a bootcamp for post pregnancy. Great place to begin because it is geared towards new moms and it’s in short segments (about 10 minutes) so if you have to leave and come back you start a new segment. NOW….for those who see my posts on Facebook or read this blog, you know that I absolutely LOVE Chalene Johnson. She is definitely my fitness role model. I have almost all her exercise programs and just love every one of them. She is fun and her workouts give you results. Her programs are geared toward meeting the needs women have. 3. If you don’t want to start with the Lindsay Brinn workout then that’s fine. 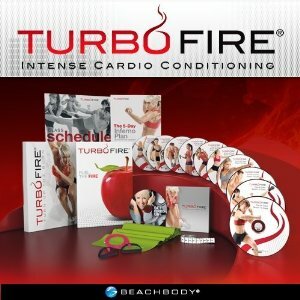 Start with Chalene’s Turbo Jam workouts (buy HERE). She has a starter disk which instructs you on her core moves and gives you a practice workout. Then it has a 20 minute workout that gets the job done fast. Plus she has Turbo Sculpt which uses weights, about 40 minutes. There’s Ab Jam and Cardio Party. Ab Jam is 20 minutes and works the abs standing and on the floor. Cardio Party is more intense and is about 42 minutes. All 5 of these workouts come on 2 discs. They are EXCELLENT. You already have a great base of workouts right here that could keep you busy a while for working your way stronger and to higher levels. You can purchase a starter set HERE and it comes with the 2 pieces of equipment you need….yup, only 2. Plus it includes a few more workouts (I own all of them and love them). Brand new it’s $60….that’s a good deal. I would splurge on that instead of looking on ebay or amazon. Think about it…..a few hours of working out that you won’t have to think about once you stick it in the dvd player and you get to keep them the rest of your life!!! 4. From there I’d go with her ball workouts, which are still part of Turbo Jam. Kickin Core and Total Body Blast. These are amazing for burning calories and are so focused on your abdominals. They are tough but fun. They last 40 and 60 minutes. Fantastic and worth it. She does cardio with the balls and lots of ab work plus balance work. 5. NOW once you’ve done those for a while (a few months or even a year if you buy all the ones I’ve mentioned) then move on to CHALEAN EXTREME. Talk about fat burning and getting you in the best shape of your life….this will do it. It’s a 3 month program and everything is laid out for you with weight training 3 days a week plus cardio and ab training. Yoga and stretching are in it as well. It is very tough and does require a wide range of weights or bands. But remember, exercise is a journey so investing your money into equipment and dvd’s is necessary to keep increasing your fitness level. But once you have enough equipment (weights, ball, a couple bands) you don’t have to buy it again, unlike a gym membership you continually pay each month. 6. Then move on to Turbo Fire. 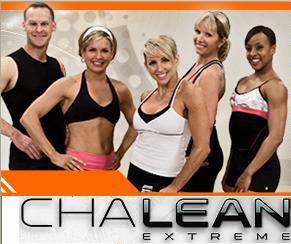 This is another 3 month program of Chalene’s that is geared towards cardio conditioning. It involves a lot of shorter very intense workouts to get your body burning good fat. 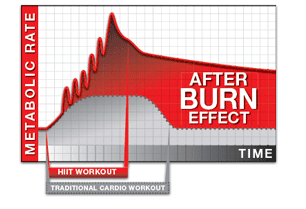 You can combine Extreme with Turbo Fire and get another variation of a workout program. This includes a couple weight lifting workouts plus yoga and stretching. These are my recommendations and the order to do them in. I hope this helps all you women who are looking for direction in your workouts! Purchase any other ose workouts on my sight, HERE. For other advice and tips on workout equipment for the home, check THIS blog post out. Got any good motivational tips? I always do really good with exercise at the beginning of the year, during nice weather, and go through phases through the year, but I always end up falling off the wagon! How can I be consistent? Great blog! So glad to see people I know being successful at what they love AND serving God!